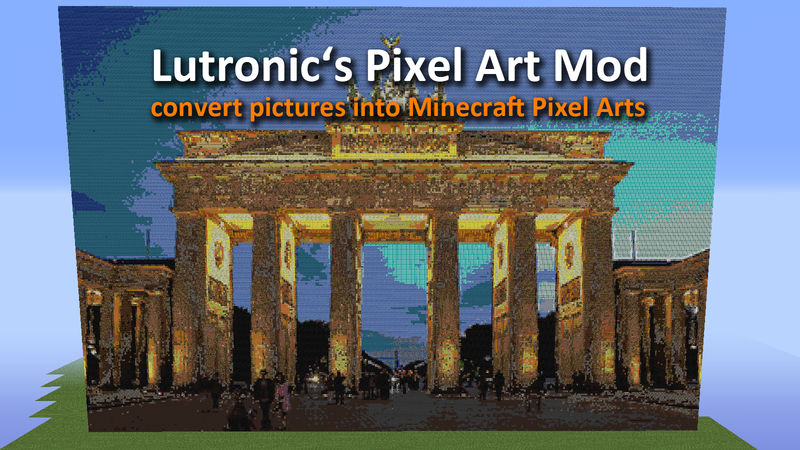 Lutronic's Pixel Art Mod (PAM) allows you to convert pictures into Minecraft pixel arts. 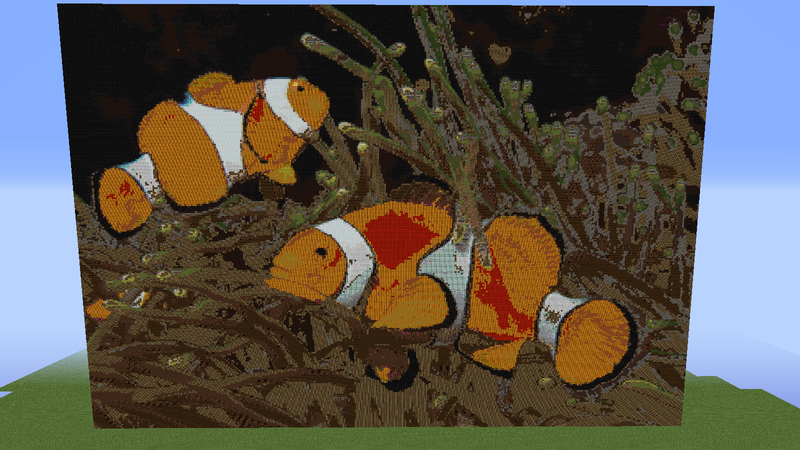 All you have to do is to install the PAM and copy any picture in your "minecraft/mods/Pixel Art Mod" folder. How does the PAM works? The PAM read a picture, selected a pixel, calculate the optical similar block and place the block into your minecraft world. PAM can use different between 180 blocks. 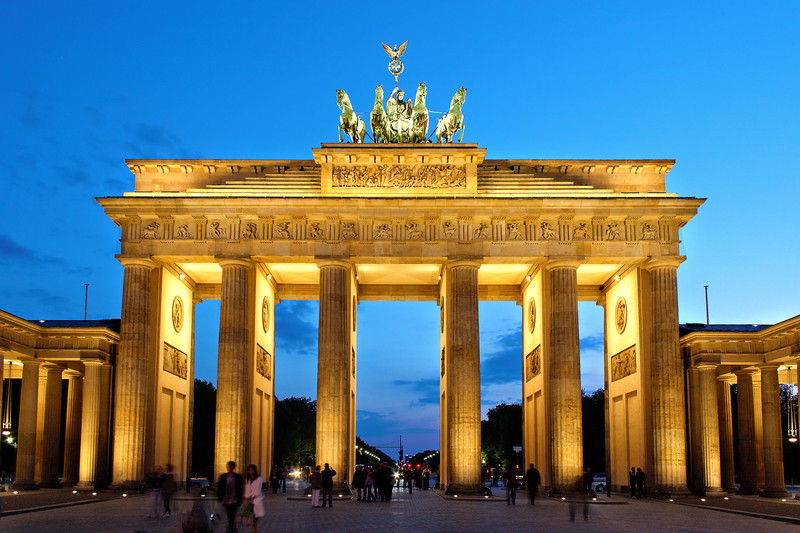 Minecraft maximal building height ist around 250 blocks, thereby you should not use pictures that a higher than 250 pixels. Otherwise PAM cut of the upper border. 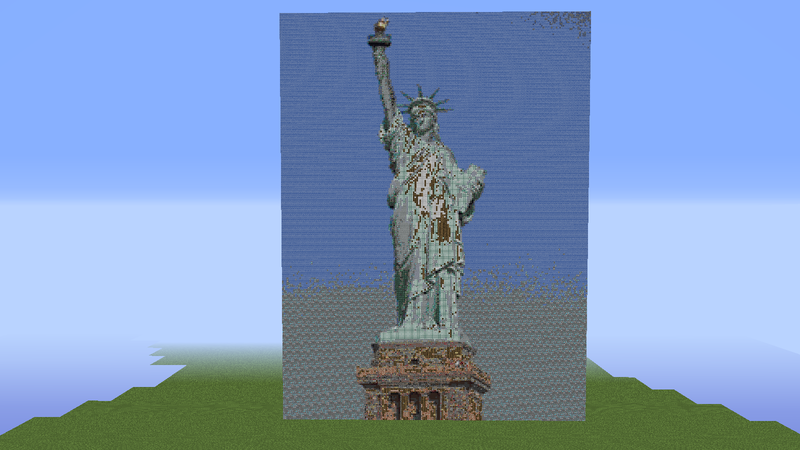 PAM is still working in progress! In future updates PAM provides a bunch of new features like mirror horizontally, mirror vertically, turn or place pictures on the ground. 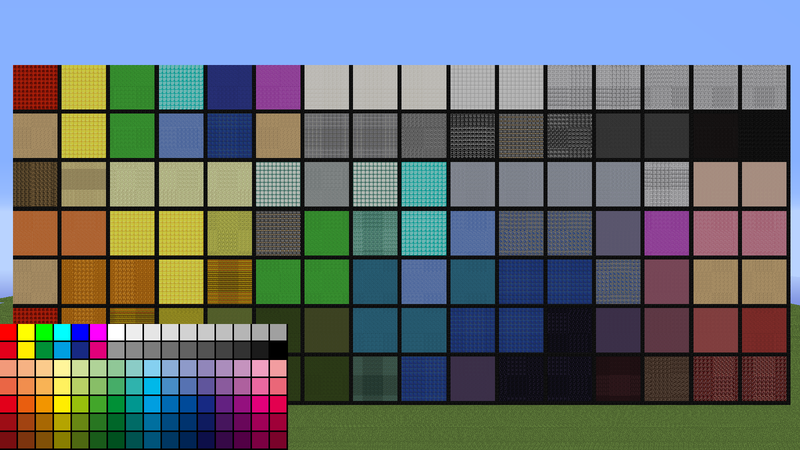 Furthermore I'm working on a feature that includes more than 250 new colors instead of the current 180. I hope you like my mod. You are not allowed to create pixel arts with PAM and post in the "projects" faction on planetminecraft because this would be against the planetminecraft rules. The pictures are under the creative common license, everyone can use them. [20:52:48] [Thread-6/INFO] [STDOUT]: [paulscode.sound.SoundSystemLogger:message:69]: OpenAL initialized. [20:52:51] [Thread-8/INFO] [STDOUT]: [paulscode.sound.SoundSystemLogger:message:69]: OpenAL initialized. [20:53:33] [Server thread/INFO]: Converting map! [20:53:43] [Client thread/INFO] [FML]: Waiting for the server to terminate/save. [20:53:44] [Server thread/INFO] [FML]: The state engine was in incorrect state SERVER_STOPPING and forced into state SERVER_STOPPED. Errors may have been discarded. [20:53:44] [Client thread/INFO] [FML]: Server terminated. Did you run it on a server? 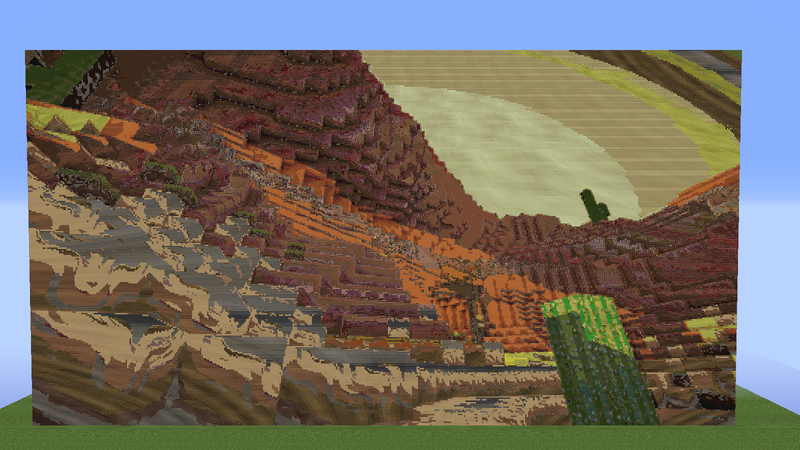 customized minecraft launcher. dose a lot of awesome stuff.